Service has been very good and your techs have been very helpful and personable . Consistent representative. Very cordial, do their thing and move on to the next treatment site. Finally, show on the day they publish to you via email. Sounds obvious, but past treatment companies I have tried didn’t hit that nark. My kind of service. Services are professional and consistent. But more importantly,effective! Great service and no further pest issues. We had a problem with a single mouse we just couldn't catch. Our technician placed traps in typical locations. After a few days, the mouse still has not been caught. The technician followed clues/trails, placed traps appropriately, and caught the mouse within hours. AMAZING service and follow-up. Technician was very prompt and professional. Provided service efficiently. The technician was very informative, and knowledgeable on the different pest that I can expect to see this summer!! 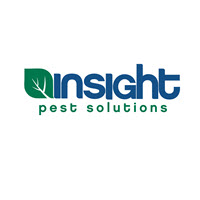 Thanks to insight I have started to see less pest in my yard and in my house! !